The success of Steve Kerr’s Golden State Warriors has overshadowed most of the franchise’s history so there are plenty of forgotten and underrated players to chose from. One of the greatest of them is Nate “The Great” Thurmond, arguably the best big man in franchise history not named Wilt Chamberlain. 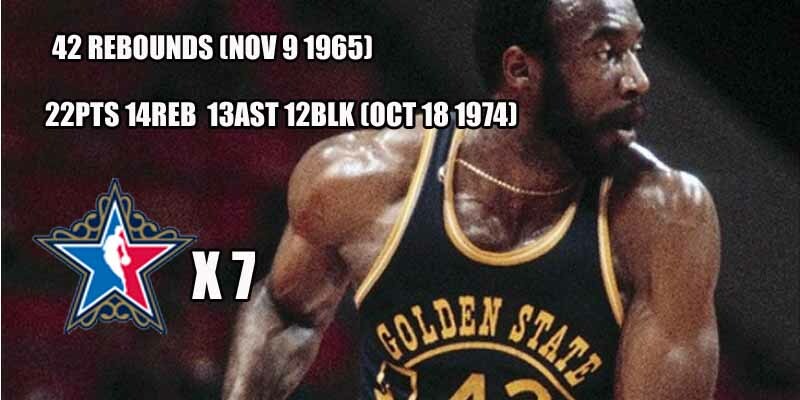 The 6’11 C/PF gave 11 years of his career to the Warriors and holds the third biggest record for rebounds in a single game with 42 behind Wilt and Bill Russell. There is, however, one thing the 7-time All-Star did that neither Wilt or Russell could do and that’s post the first of only 5 quad doubles in NBA history when he recorded 22 points, 14 rebounds, 13 assists and 10 blocks against the Atlanta Hawks on October 18, 1974. Even though he did that as a Chicago Bull, that’s still a very exclusive club.